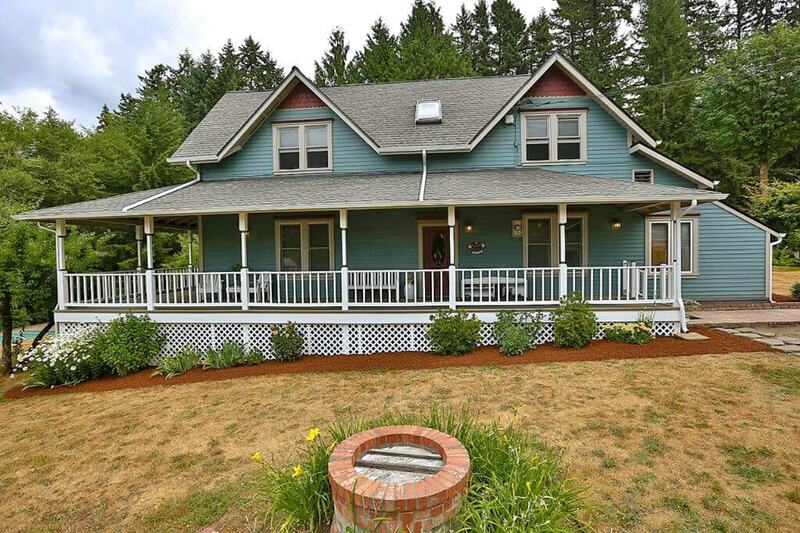 I recently introduced you to our “new” 104 year old home that we moved into 4 weeks ago. We’re still in the process of getting settled and it’s going to take some time yet. But even before we’ve settled, we’re already starting a new project. We have several outbuildings on our 8 acre property, all of which were built from trees on this very property. 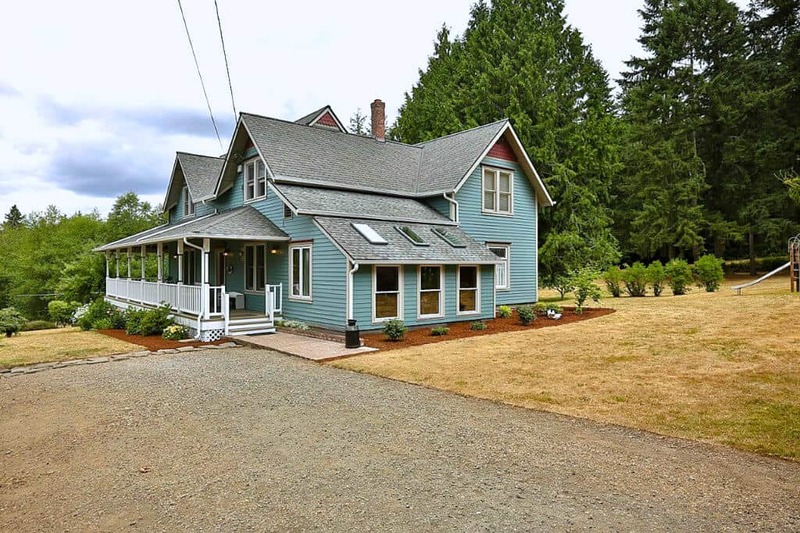 Even our 1912 home was built out of wood milled from this property. More specifically, before the main house was built an huge barn had been built. It was the oldest barn in the county. When that became dilapidated the wood from that barn was used to build the outbuildings. Pretty neat, huh? 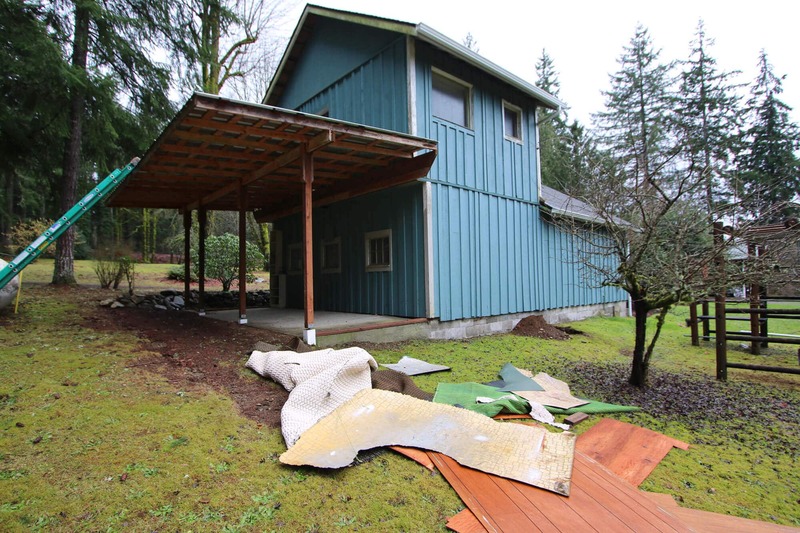 The outbuildings are sturdily built with “historic wood” and we already have ideas for putting them each to good use, so we want to restore and preserve them. 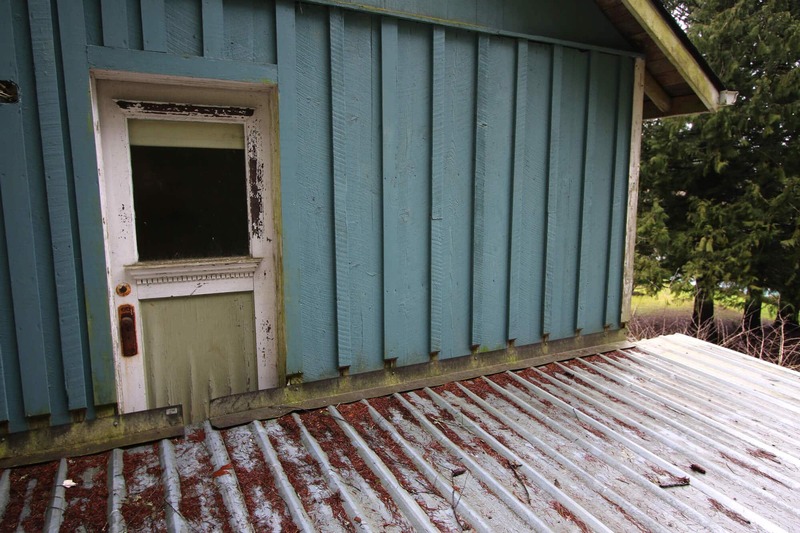 One of the outbuildings has a small 250 square foot living unit on top that hasn’t been in use since the 70’s. And it’s only even been accessed a couple of times since then because the original staircase rotted off long ago. 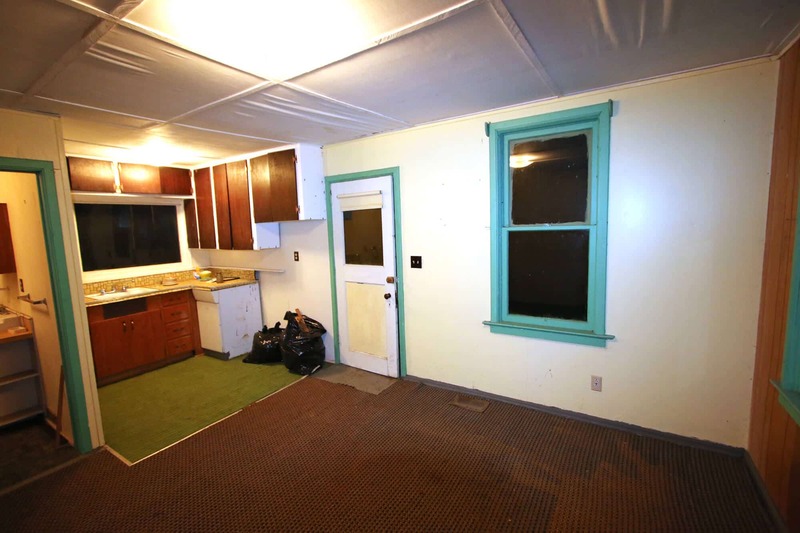 We’re converting it into a micro-dwelling. 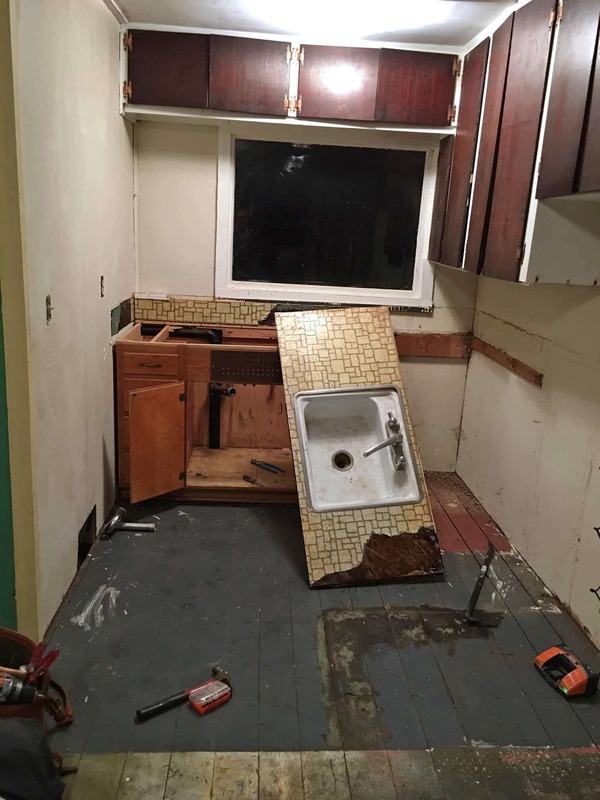 So here’s the thing: Neither of us have any experience with remodeling. But we’re both tenacious and determined and we’re going to see this project through with our own sweat and elbow grease until it shines. With the original staircase having rotted off, the only way to access it right now is by ladder. So we grabbed one and headed up to check it out. 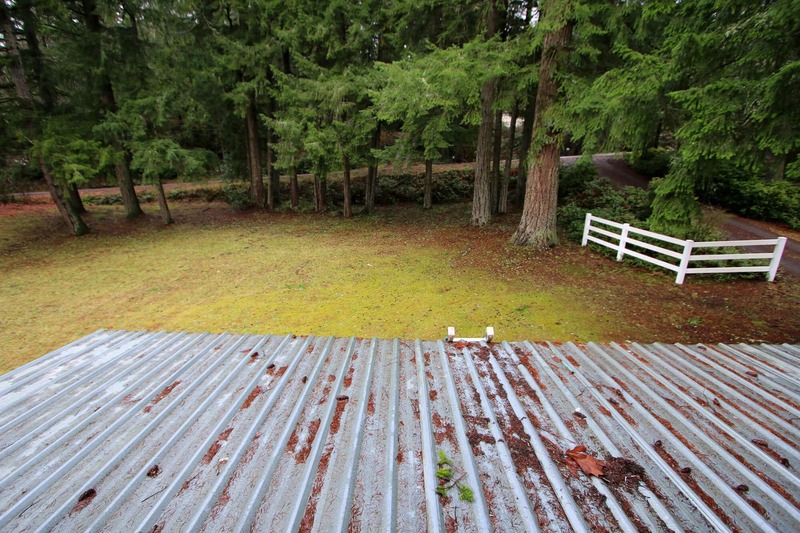 The moment I climbed onto the top of the metal roof leading into the unit, I got excited. 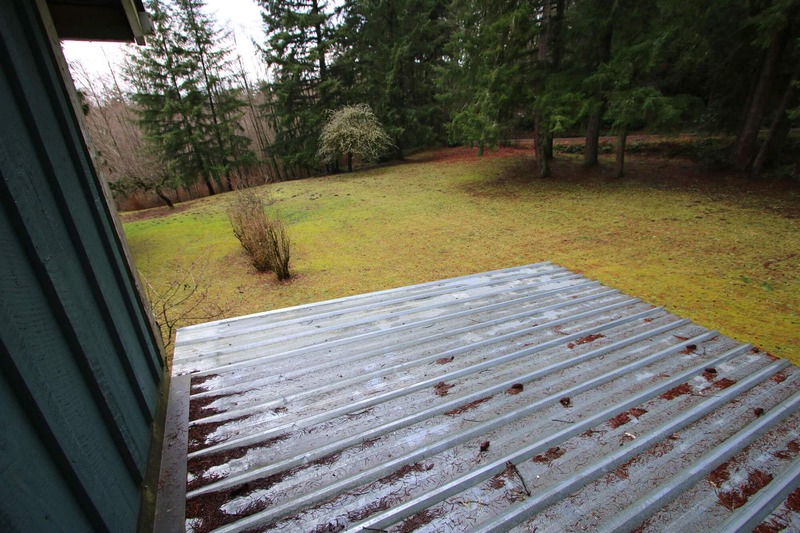 When envisioning the potential of this space my first thought was: A deck. A BIG deck! 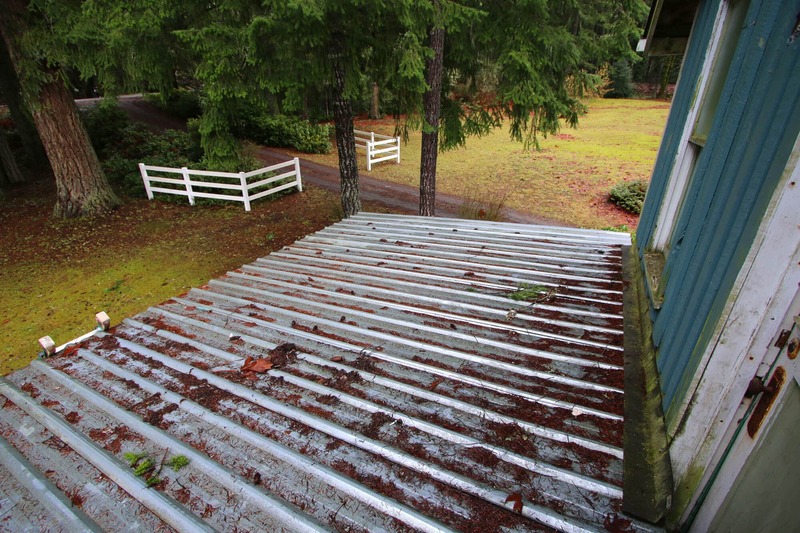 The support beams are already in place for the entire span of this metal roof, so that part is already taken care of. I stood up there visualizing a nice, big wooden deck – the railings would have planter boxes hung from them on every side filled with colorful blossoms and herbs. And the peaceful views from this deck….With all the trees surrounding it, it almost feels like you’re in a treehouse. The plans for a deck and stairs are already well underway. We’re going to need the access of the stairs especially once we start hauling in cabinets, toilet, shower, drywall, etc. In the meantime, we’ve gotten started on some of the interior work. The current door is warped and will need to be completely replaced, which is a shame because it’s a very old door with some great character. We’re going to see if there’s any way to salvage it, but it’s bowed and doesn’t close tightly, so it’s not looking promising. If you have a hard time seeing beyond the here and now, you’d probably take one step in and run the other direction (though really, it could be much worse. 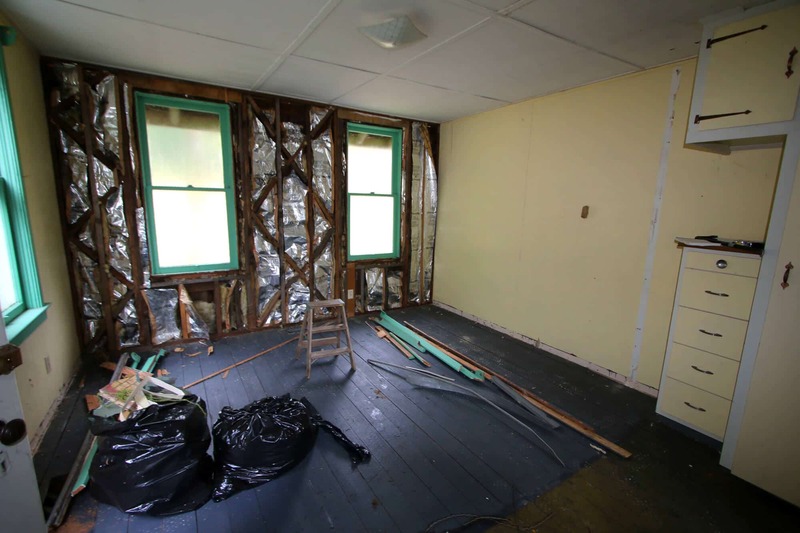 And actually, these pictures are of the place after we already cleaned out a bunch of debris). But if you’re able to discern a diamond-in-the-rough you’ll realize, like we have, what a gem this can be. 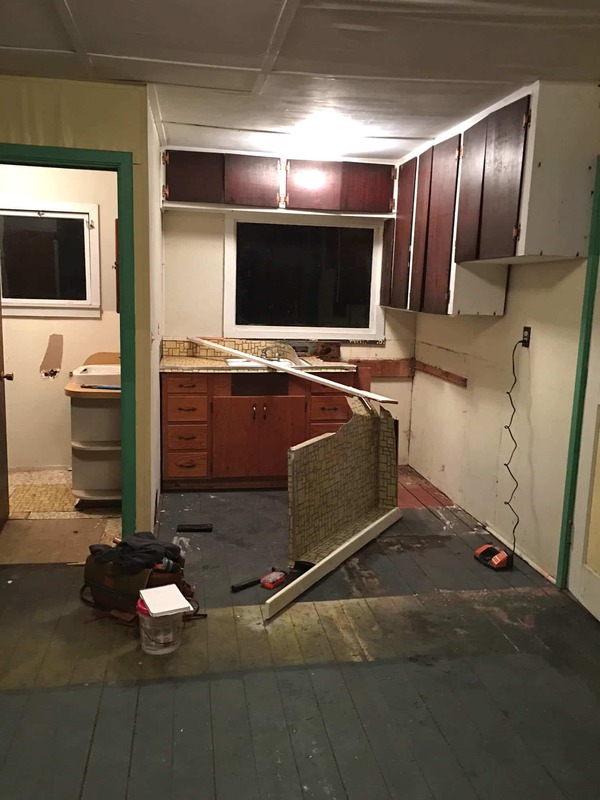 Not having any prior experience with remodeling, this is going to be a great learning experience for us and we’d like to invite you along for the ride. I’ll be publishing posts as we continue to make progress and I would love to hear your ideas and suggestions for how we can set everything up and where to put things! It’s only 250 square feet but we want to set it up so that we can maximize the living space without overcrowding it. Light, contemporary, and functional while creating as much sense of “space” as possible – that’s what we’re after. 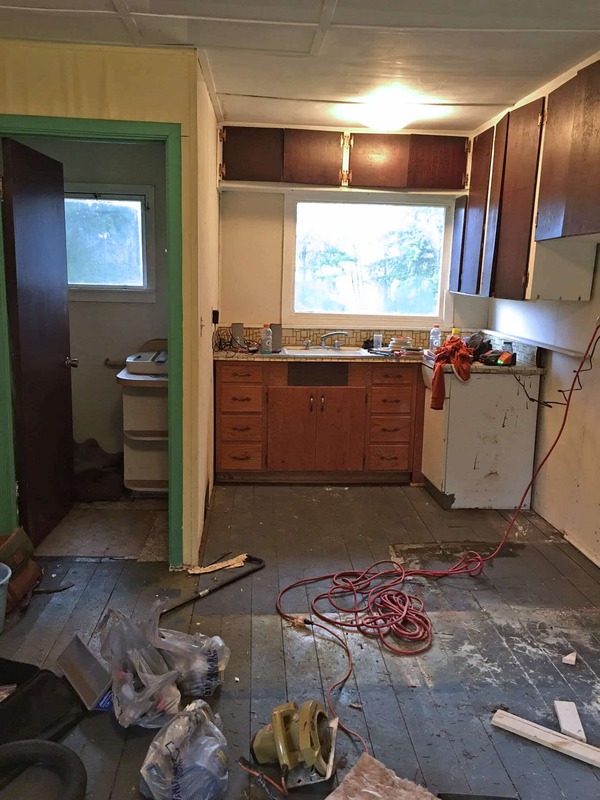 The kitchen especially – finding proper fitting new cabinets, small appliances, etc – and the microscopic-sized bathroom, will also require a lot of brainstorming. Carpet in the bathroom. That’s always my favorite. Yours, too? The shower is teeny-tiny and is directly to the left behind the door when you walk in. 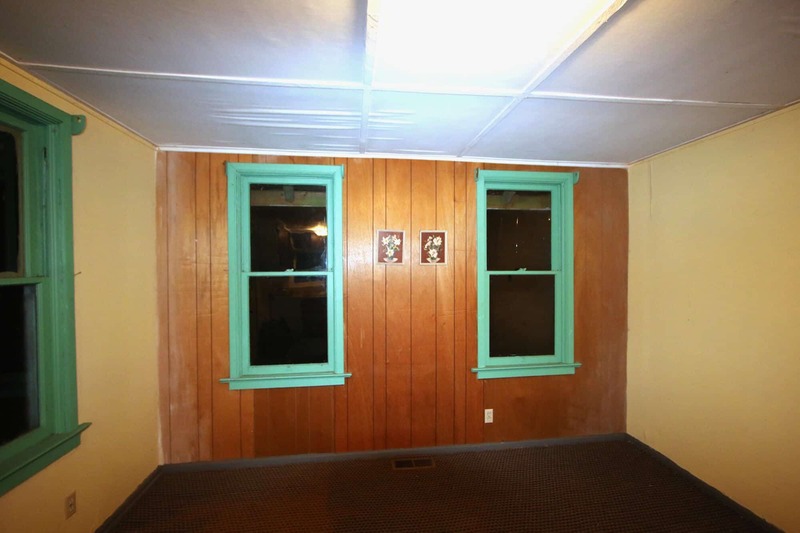 The walls are simply cedar with some kind of water-resistant paint and the flooring is an old metal shower pan. We’re currently researching tiny shower options that will create a sense of space where there is none. 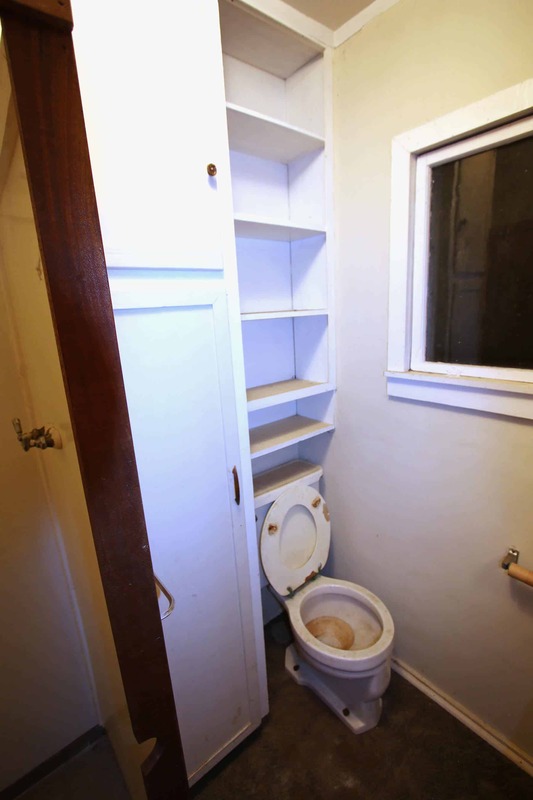 The bathroom is so small that you can see where the builder improvised – he cut out part of the wooden frame on the right so the bathroom door handle could fit through when you open it! 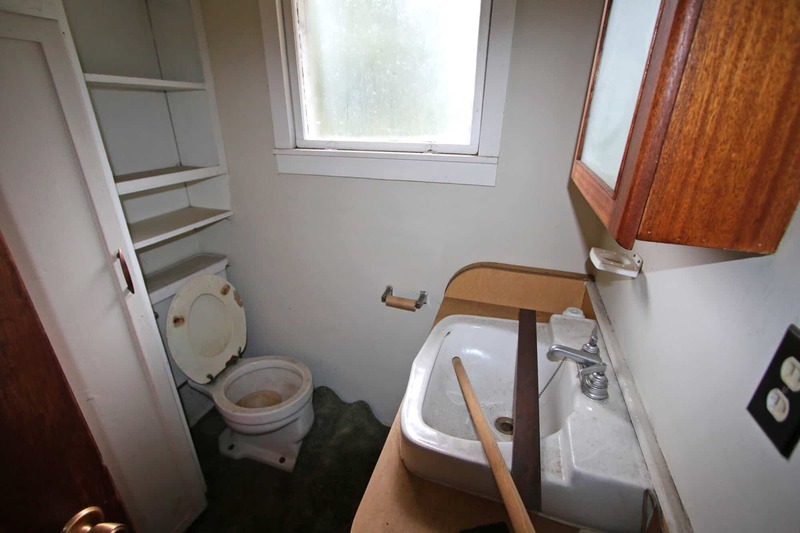 One bathroom change will be to rig the door so that it swings OUT into the living room instead of into that tiny bathroom. There is something really satisfying about taking a pry bar to old cabinets. If you’ve never tried it I highly recommend it. 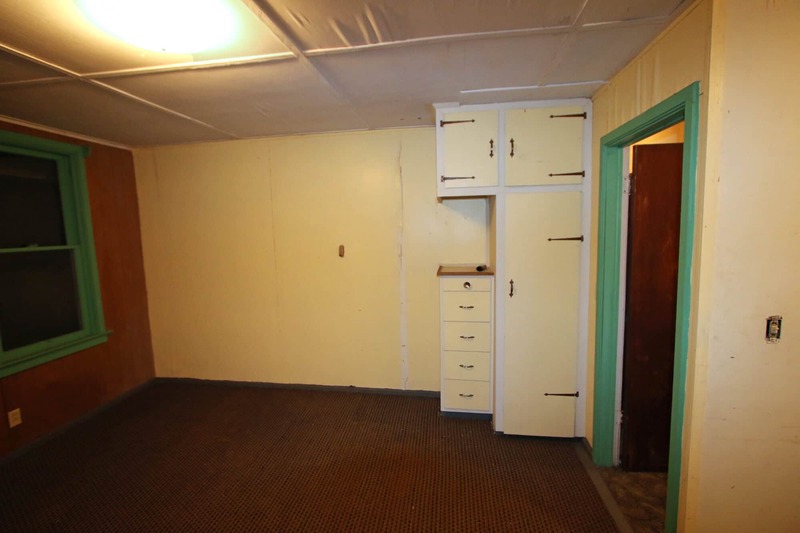 Behind the built-in closet was a square brick opening going directly into the chimney. It must have been an inlet for a wood stove at some point. Within a minute of exposing that gaping hole a half dozen huge moths flew into the room. We discovered a large moth colony inside. Mental Note: Eliminate moth colony, patch up the chimney hole on the wall. When we first began doing some initial cleaning we heard at least a couple of squirrels from somewhere behind the wall hissing at us. The squirrels were ticked. And so we ripped out the squirrel poop-infested insulation. I never thought I’d use the word “poop” on my blog. I guess that comes with the territory of having branched out to include a Home & Garden section. Ripping out the toilet was fun but not nearly as much as carrying it down that long, steep ladder – which is why we didn’t. We threw it off the roof and watched it explode at the bottom. 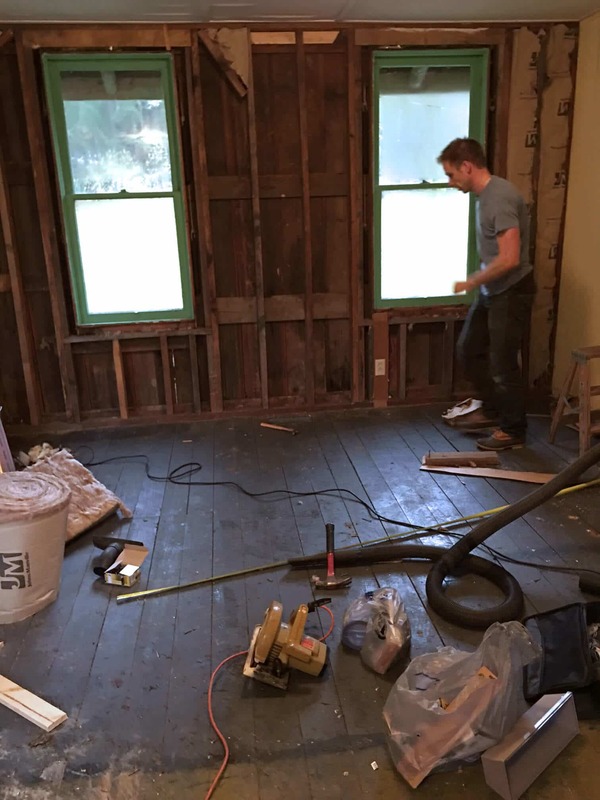 The hole on the floor where the toilet was has like an inch-thick layer of sticky molasses-like substance (I don’t want to hear it) that I stepped in…twice…with the back of my jeans under the heel of my shoes, so they both got a taste of it. Yeeeeah. 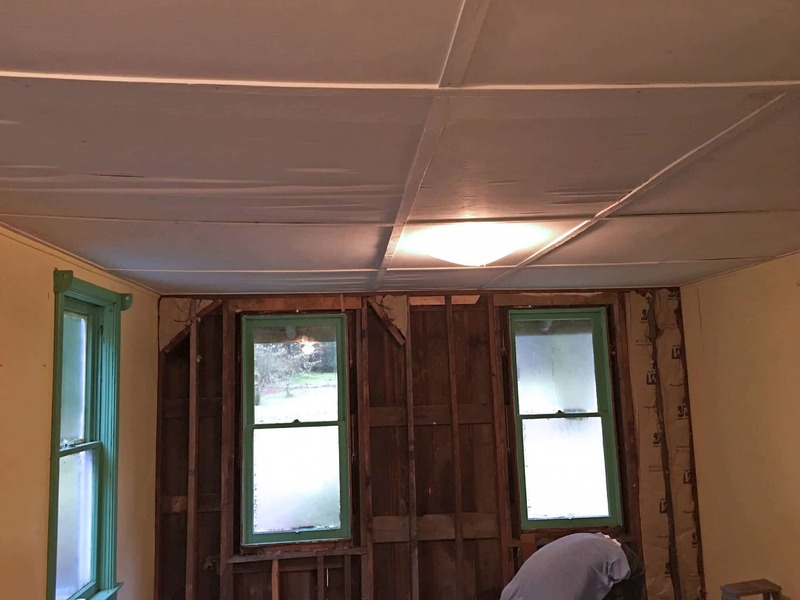 We originally thought the sagging was caused by warped ceiling joists. 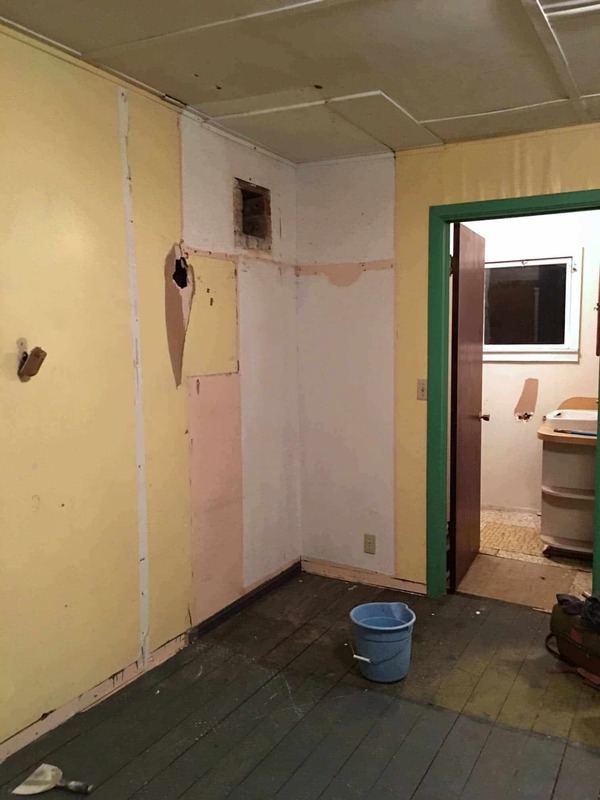 Fortunately that isn’t the case, one wall is just a little “off” which will require some finagling to make it look level when we put in a new ceiling. It’s really exciting to think about what this place is going to look like when we’re done. We’re already dreaming and scheming what feels like a gazillion steps ahead of ourselves about where to place the furniture, how to decorate, how to maximize the living space without making it feel claustrophobic. But all of that will have to wait. Right now we’re on our hands and knees doing grunt work and there’s lots of elbow grease still ahead. See you next time for Part II of The Micro-dwelling Project! I love DIY projects! We have been on one major house remodel all year, haha. I cannot wait to see the finished result! Seriously love the small dwelling. We still have several projects we want to get to on our main house, so hopefully the guesthouse goes pretty quickly – fingers crossed! This looks so cool. I’m an armchair DIYer because I am not handy at all. I can’t wait to see your next steps! I don’t even have experience with armchairs let alone home remodels, ha! But we’ve been learning a lot along the way and I think things are going to turn out really nicely – we’re excited to think of what it’ll look like when it’s done! 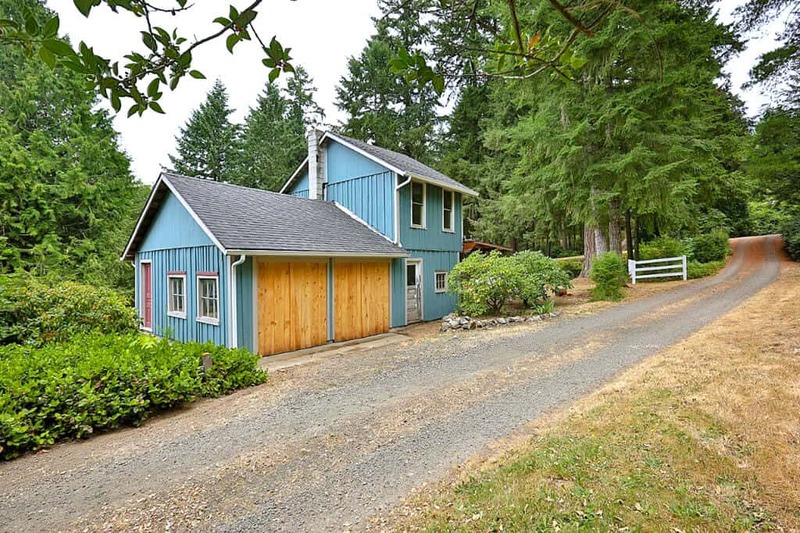 I think my mind must have been on beer, because at first when I read your title, I thought you were building a microbrewery and I thought how cool to make your own beer on your beautiful property! But a micro-dwelling is pretty wonderful, as well! What fun to dive into a DIY. I look forward to seeing part 2!! I am becoming more of a DIY-er lately (or trying to) so this is so inspirational! What a project! It sure is, Ashley – we’re really enjoying the challenge! What a fun project…you will be so happy when it is all finished. We really excited envisioning the end result possibilities! Wow – so fun! You definitely have your work cut out for you, but can’t wait to see how it turns out! It’s been a great learning experience so far, Cathy, and we’re plowing forward! 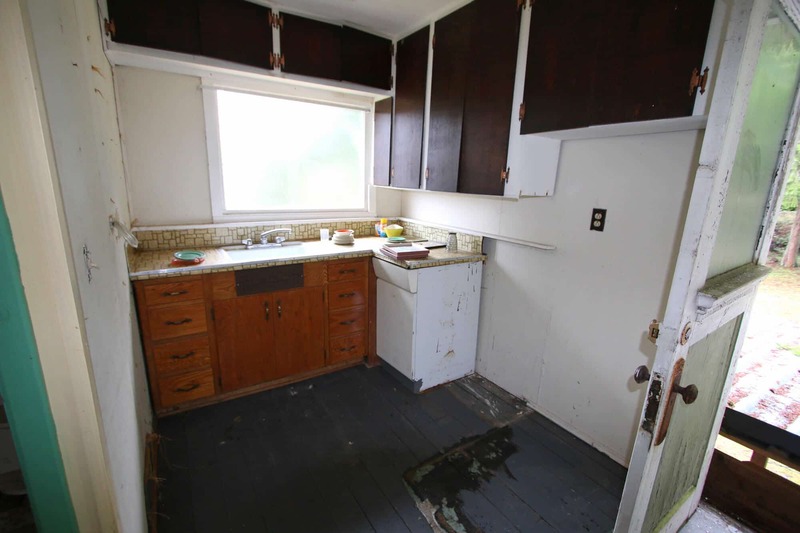 I love a good fixer-upper. This micro dwelling looks like a project I would like to sink my teeth into. What a fun project and I cannot wait to see how it turns out. It is a fun challenge and I’m looking forward to finally being the point where we can figure out furniture and decor! This project has so many possibilites and I am so excited for you! That deck is going to be amazing! Oh I know, Meg, I am so excited about the deck! What a fun project. 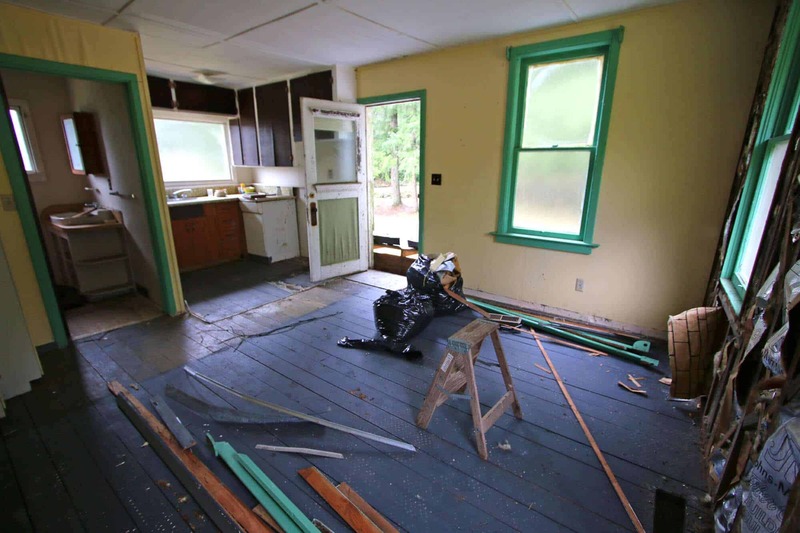 Many years ago, my husband and I bought properties in horrible shape and fixed them up to resell. It’s nice when everything is ripped out and you can start from scratch to create something pretty and livable. 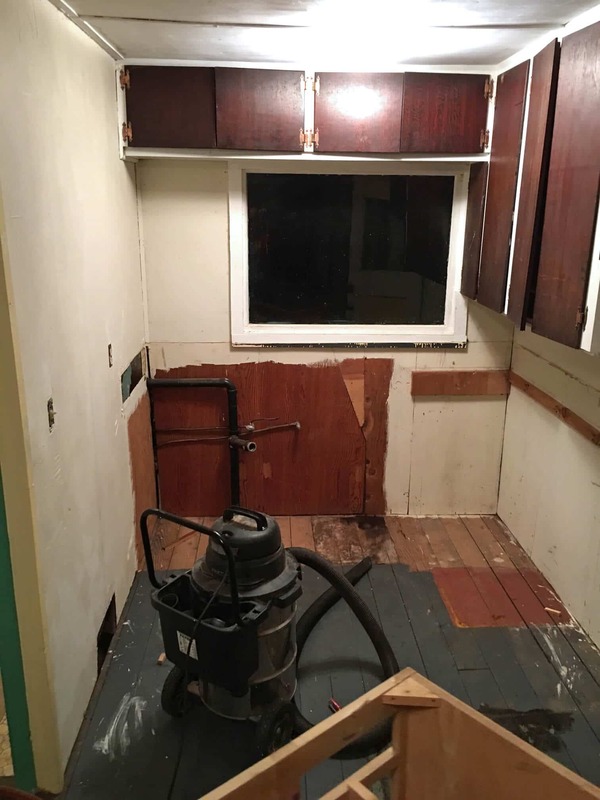 I’m looking forward to following along on your renovation. Joanie, that’s something my husband and I have talked about a lot and maybe someday, when we have more time (ha! ), we’ll tackle something like that as an investment. I think it would be really rewarding. I wish I could dedicate time to do such a thing. When I renovated my entire house last year I loved it. The best part is seeing the before and after. Good luck with the rest of the project! It’s taking a longer than we’d like for that very reason – time. We do bits and pieces here and there and have occasionally had family come over to stay in the main house while our kids are asleep so Todd and I can go out and work on it at night. We’re hoping to have it done relatively soon though! 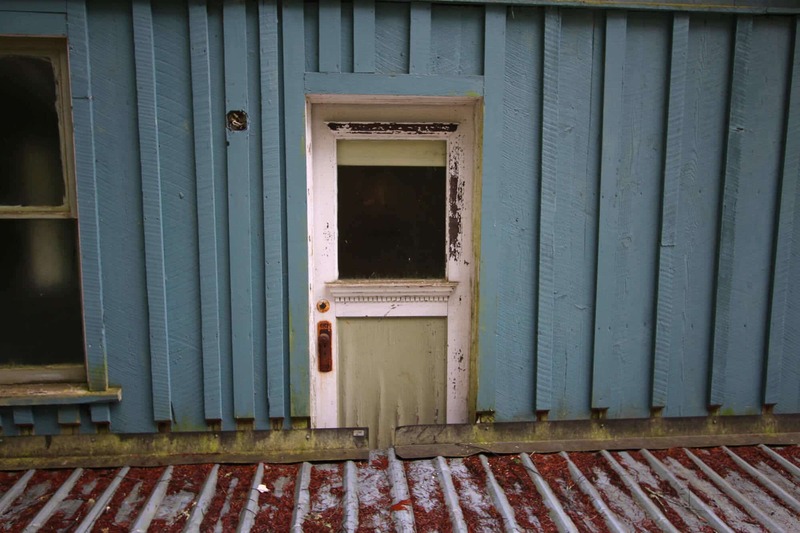 I admit that when you posted the picture of the front door I was thinking “get in there! I want to see it!! !” How fun! You’ll certainly get your exercise while completing this project. Can’t wait to see the next steps! I am so excited for your next steps! I love the big deck idea! And rooftop barbecue sounds fun! I am so excited for the big deck, Andi! Now if only the rain would let up…! Lol, Susanne! :) It really is a gorgeous property. We just moved in 4 weeks ago and I can’t WAIT until the Spring and Summer so we can start fully enjoying it! There aren’t many things more satisfying than seeing a project through from start to finish. Especially when you do it yourself. I can’t wait to see how it turns out! Our house was built in 1925 and I’ve decided I don’t think I’m cut out for all the charm and character! ;) Love your ideas and can’t wait to see the end result! I can just see the gorgeous potential of these homes! Good luck to you, it’s going to be absolutely fantastic once the dirt, grime, and issues are all gone!!! Love it. If you can multi-purpose some things it could help. I don’t really have specific ideas, but I think you might find ideas by looking at the amazing mini house or apartment things that are floating around Facebook occasionally. 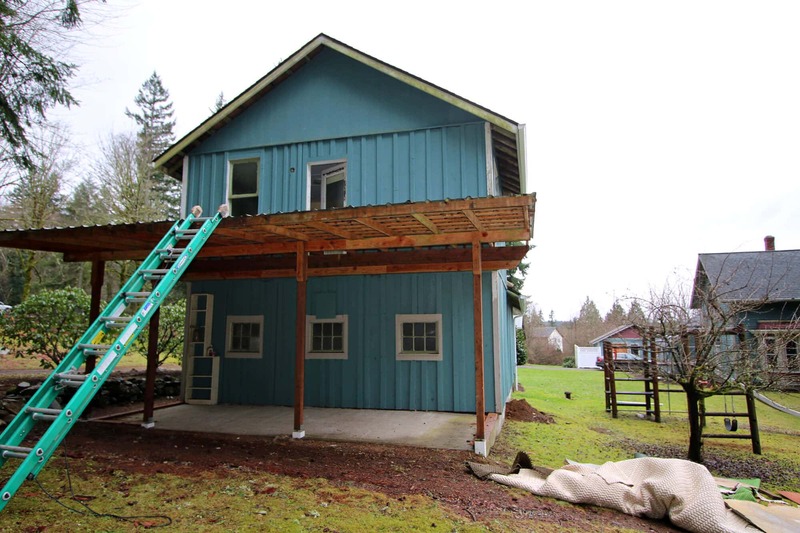 If they can do a whole house in maybe 100 square feet, your project will be spacious. Look at camper equipment for the shower, maybe. I LOVE before and after projects! This is a huge project and I don’t envy all the work, but as with anything, the end result will be worth it, I’m sure! Definitely a lot of work, Christina! I agree though, we’re confident the end result will be worth it! LOVE this! 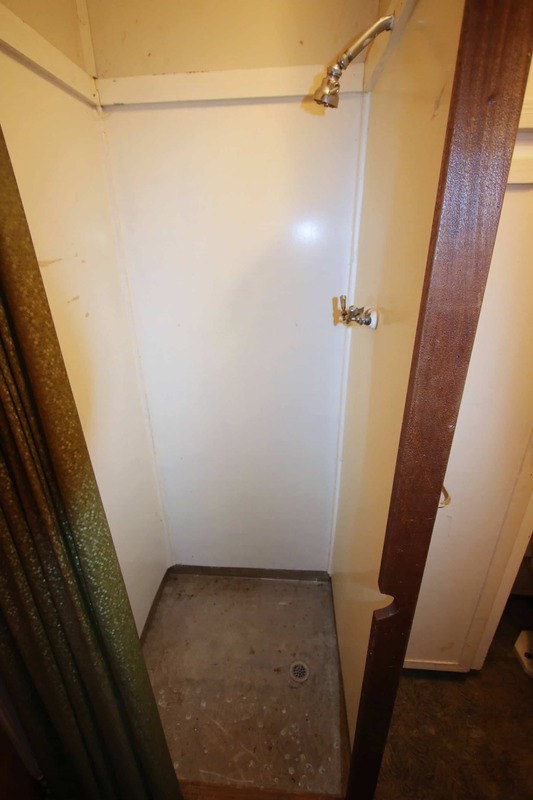 Some idle thoughts….if there’s any way to have a pocket door on the bathroom, would be a great help if there’s room inside the wall. Saw a one piece glass/plastic shower unit someplace, it was a circle, the shower door opened to the inside on a sliding track….a pedestal sink….would make the bath easier to access. Hi Jean, thanks for the ideas! We did think about a pocket door, that would be the most perfect option for sure. The problem is we’d have to completely redo the infrastructure of the wall in order to allow a door to slide in. It’s doable but definitely not cost-effective. We’re going to rig the door so it opens “out” instead of “into” the bathroom. Yes, definitely a pedestal sink. And YES, we saw a similar shower online, it was like a glass tube that would fit perfectly! We’re trying to locate something like that right now. 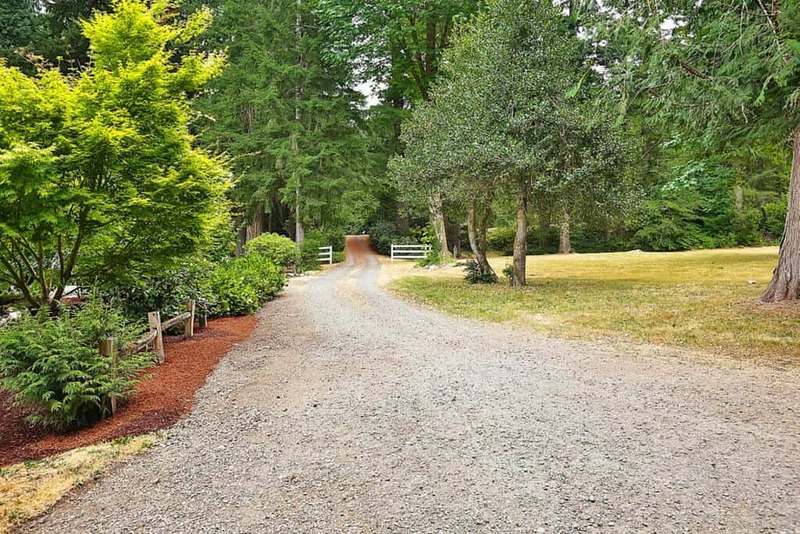 Congratulations on your new property…with land and a history! Love it! YOu guys will have a blast redoing! Thanks, Collen :) It’s a ton of work but it really is rewarding knowing we’re going to create something nice with our own hands. Sure sounds like an exciting project! You’ll have to post pictures as you go and how it all looks after everything is done!! Sounds like quite the adventure! Can’t wait to see how it looks all done! Neither can we, Anna! :) It’s a lot more work than we anticipated but we’re plunging forward! 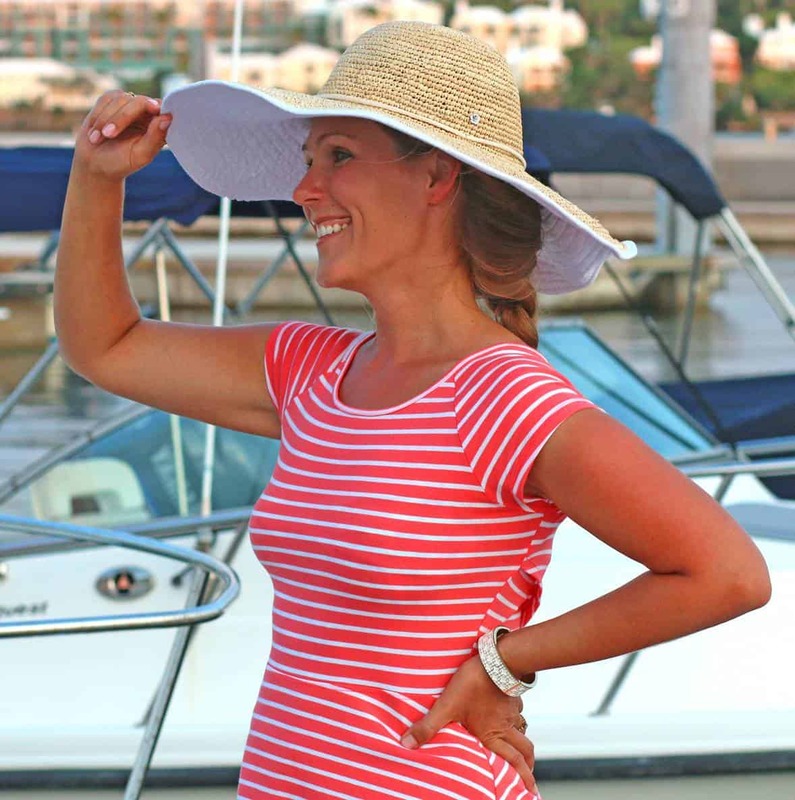 Oh my gosh – what a fun post! I mean, yeah … so much work … I get that, for sure! But as someone living vicariously though your words and pictures, it really is a fun experience! Your new/old home is gorgeous, gorgeous, and this whole micro dwelling project is incredibly neat! Thanks for this great post! Thanks, Shelley! :) It’s definitely both – a lot of hard work but also fun. How cool is that outbuilding! 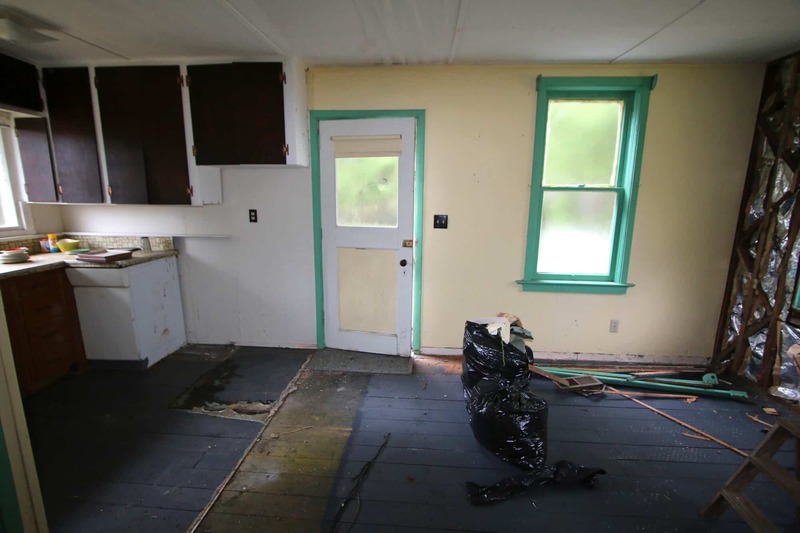 It’s going to be so fun seeing it transformed into the gorgeous little living space you’re envisioning. Kudos to both of you. Such a fun project! I wish I had the time to do something like this as I worked with my Dad for years on building sites and I love the whole process! 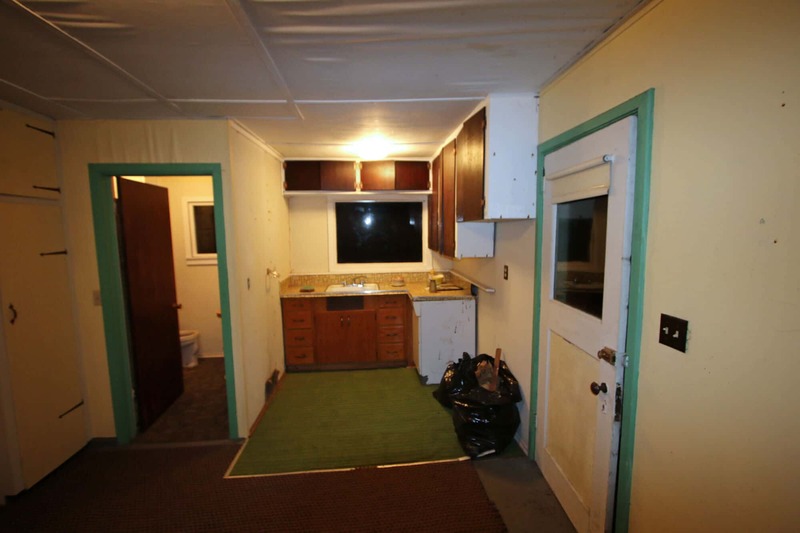 Kimberly, your property looks so charming!!! 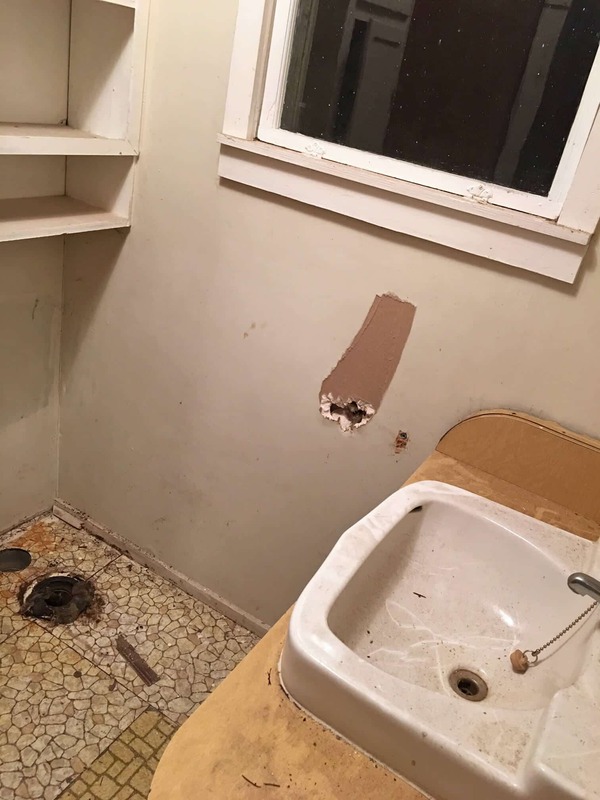 Can’t wait to see how the renovation turns out. If I had something like that in San Diego (which I don’t, because we’re on 3/4 of an acre :P), I would probably turning it into a photo studio! But a house for visitors would be nice too. My bf’s family is visiting all the time! Brandon, 3/4 acre for San Diego is pretty darn good! And with all that amazing cooking going on in your kitchen, I can’t blame the family for visiting you all the time :) You know, that’s actually what I was originally thinking!! I was thinking of putting in a new kitchenette and having that as my work space where I can cook and do photo shoots in peace without my kids kicking over my tripod and light stands and “rearranging” my finished dishes with their curious little fingers ;) We’ll see, I’m sure it will serve multi-purposes. Hurry and do more so we can read about it! I loved your enthusiasm for a project that just screams work, work and more work. But now, I’m hooked. We all love makeovers. LOL, Barbara! :) Hey, I have an idea – come over and help us out and it will go even quicker! ;) Lots more pictures on their way for Part II. Had we realized the amount of work (and unbelievably gross stuff we found behind the walls, ewww!!) this was going to involve, we probably wouldn’t have done it. So it’s a good thing we went into this blindly :) But I’m glad we’re doing it and there’s no turning back now until we’ve created something beautiful! I love your ambition and vision! Bravo and best of luck going forward! I’m a year late, but I’m just now starting to look at your project. I am in my 80s and a DIYer from way back. My favorite homes have been old ones and I always have ideas for “fixing” them. Now I will look at your remaining blogs to see what you have done in the last year. My first thought, though — put another row of bracing pilings under that cantilevered deck. It will both look and feel sturdier, especially with the weight of the flower boxes you plan.